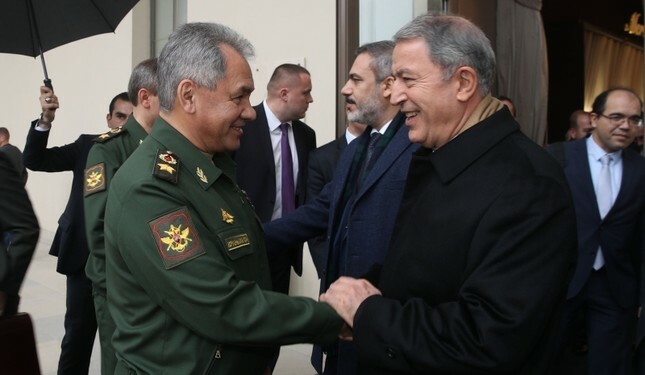 Russia's Defense Minister Sergei Shoigu will make an unexpected visit to Ankara on Monday upon the invitation of Turkish counterpart Hulusi Akar. Last September in Sochi, President Recep Tayyip Erdoğan and his Russian counterpart Vladimir Putin agreed to establish the Idlib demilitarization zone. The following month saw all heavy weapons withdrawn from the de-escalation zone by Syrian opposition and groups opposing Bashar Assad's regime. Nevertheless, according to the White Helmets, at least 30 people were killed in Idlib in January, including women and children, while another 180 were injured — in Idlib, Hama and Latakia — by regime drone attacks and artillery fire.